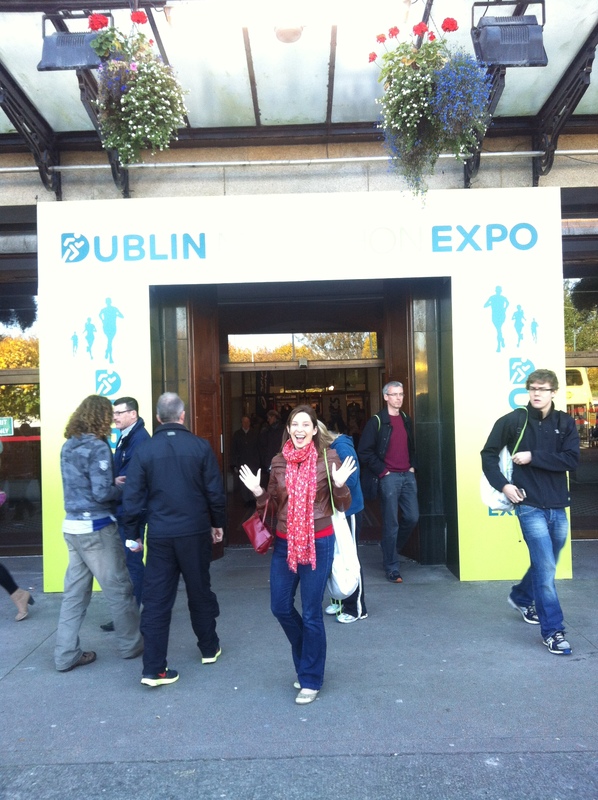 Arriving at the Dublin Marathon Race Expo is the moment where it hits you. The marathon is real. You are actually running a marathon this weekend. 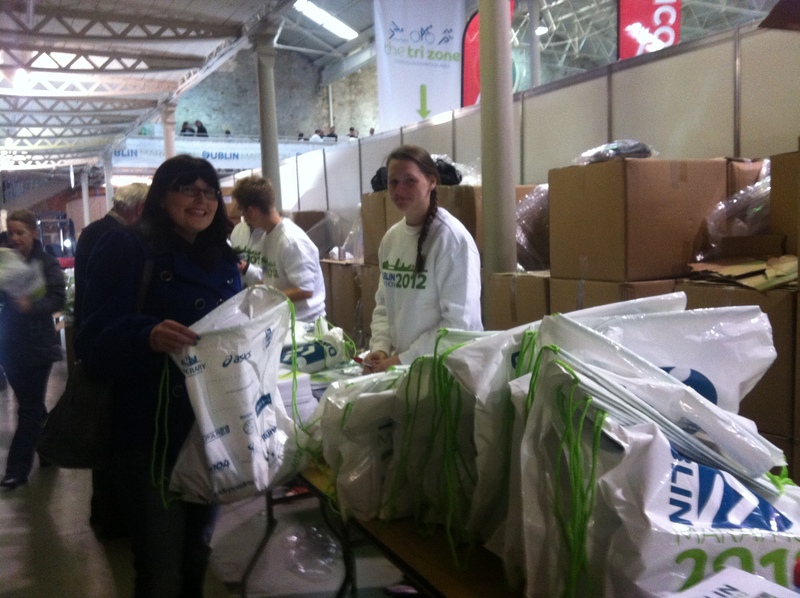 It’s the first sight of the runners leaving the Expo with the race bags as you arrive in Ballsbridge, the buzz as you enter the hall, the emotion as you get handed your race number with a smile and the good luck wishes of a smiling stranger behind the desk. It hits you. There is no going back now. The marathon is on Sunday. After all the training its finally here ! 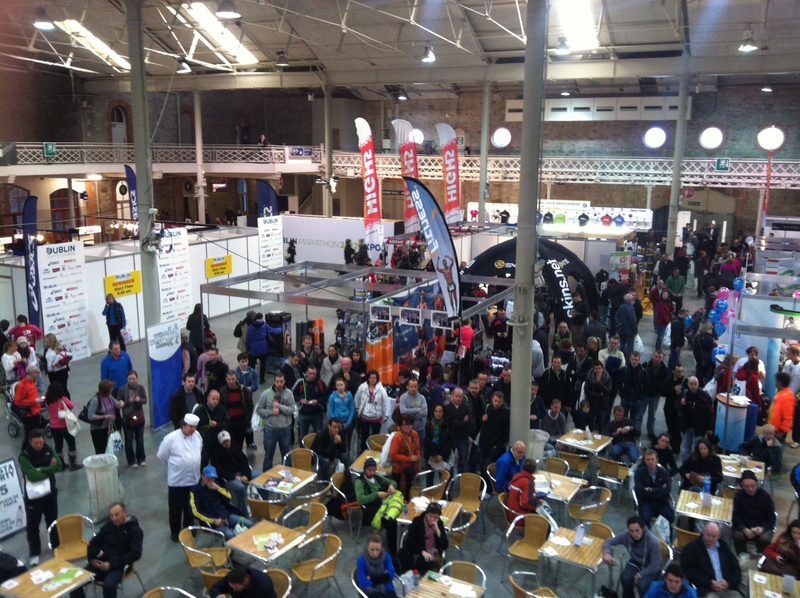 How the expo works: Like any big event like this, there are plenty of stall selling running gear and gadgets. It can be overwhelming if you have not been at anything like this before. Before you start shopping, my advice would be to first follow the signs for number collection, get all emotional when you get your numbers, then get treated to your your goodie bag and then finally take a little bit of time to look around the stands. Be sensible, don’t spend the whole day walking around. But of course, you have my permission to treat yourself to something nice! – Don’t buy anything new to wear (or eat) on Marathon Day : Buy whatever you wish. But, remember the main rule. Anything you buy at this expo should not be worn on race day. Simple. Even if it is the same brand or style as you are used to, it is not worn in and may cut or chaff and destroy your marathon. – Go reasonably early in the day : It can get very busy, with other events such as the Ideal Homes show in the RDS, so I would recommend to go earlier than later. 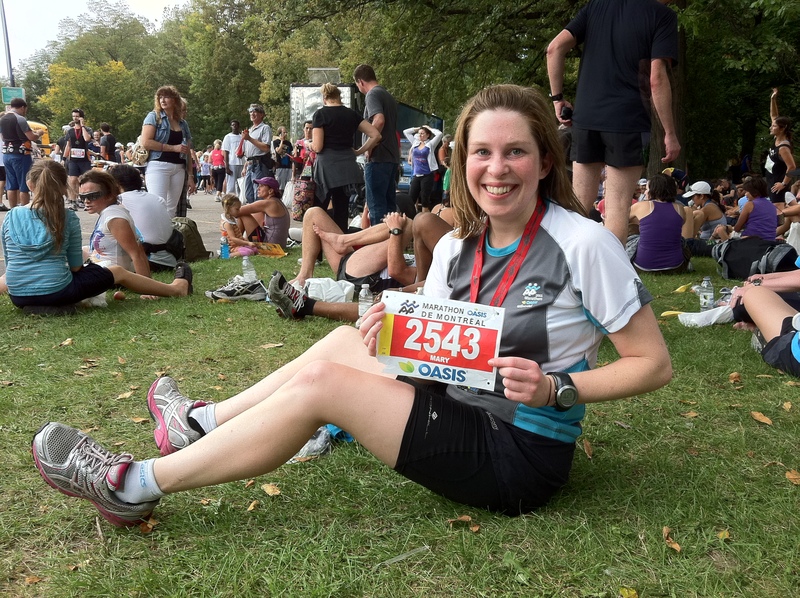 – What to Bring: Bring ID, Race number Confirmation Slip, Money for impulse buys! – Keep Calm : You will see lots of ‘athletes’ and also lots of people wearing tracksuits, country colours and a surprisingly large amount of people looking like they are dressed to go running. I’m not sure why! Wear comfy clothes and shoes. 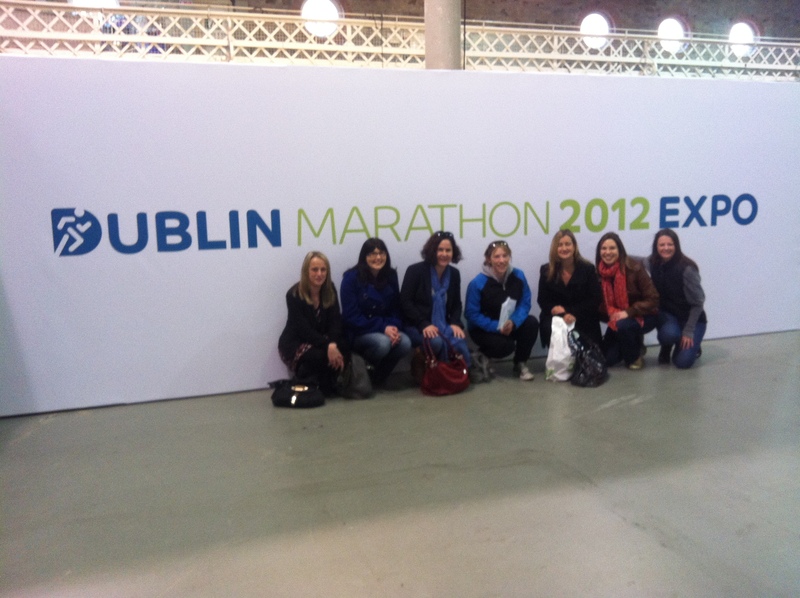 Don’t be intimidated thinking you are going to be last to finish the marathon as everyone else looks so professional. They are not. -Don’t be brainwashed : The expo can be quite overwhelming. So many ‘experts’ in everything there, and remember they are all there to sell their wares, and with so many specials deals, discount offers, free samples, Its easy to get carried away. Its also very easy to start thinking you have missed out on huge components of your training, when you see gadgets and running items you have never even heard about. – Talks / Seminars : Lots of interesting speakers , but once again, don’t panic if they are talking about something you have not done in your training. Trust your own training. A really good talk to listen to is the one where they walk you through the route. 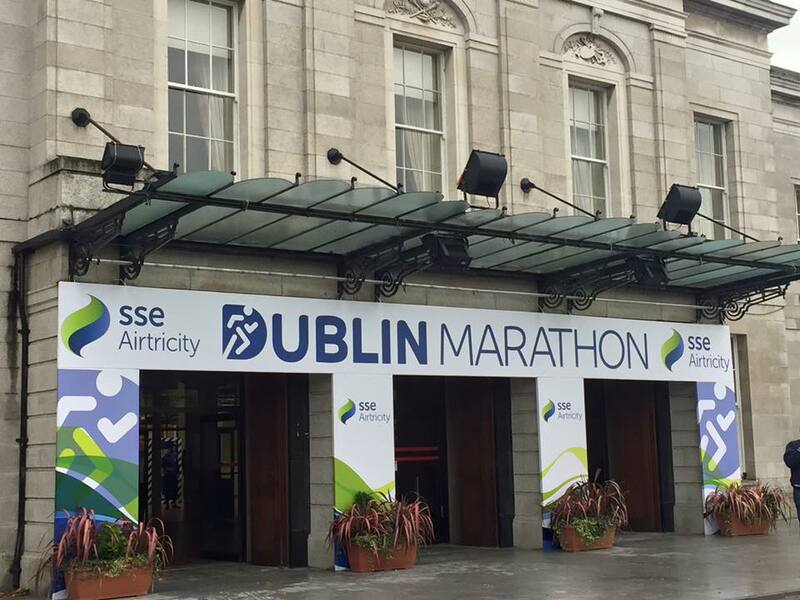 -The History of the marathon : Check out the mini marathon museum down the back which show photos of the history of the marathon and is very inspirational. It’s time to get excited. Its marathon weekend !